Observations are fed into the Sensor Web through a growing number of environmental sensors, including technical and human observers. While a wealth of observations is now accessible, there is still a gap between low-level observations and the high-level descriptive information they reflect. For example, we may ask what the measurements mean when a weather buoy provides a temperature time series. The challenge is not to gather a vast number of observations, but rather to make sense of them in environmental monitoring and decision making. In order to infer meaningful information about geographic occurrences from observations, a description of how one gets from the former to information about the latter must be expressed. 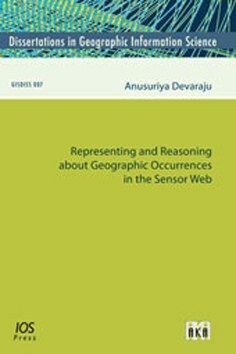 Here, questions that call for clarification are: How can geographic occurrences be formally modeled with respect to properties observed by sensors? How can the formal model be used to infer knowledge about geographic occurrences from sensor observations? This book delivers a formal model to answer these ontological questions. The model is used to infer information about blizzards from time series produced by a weather station.